SALE! Was $12, now $9! Oh this is a hard one to let go of! 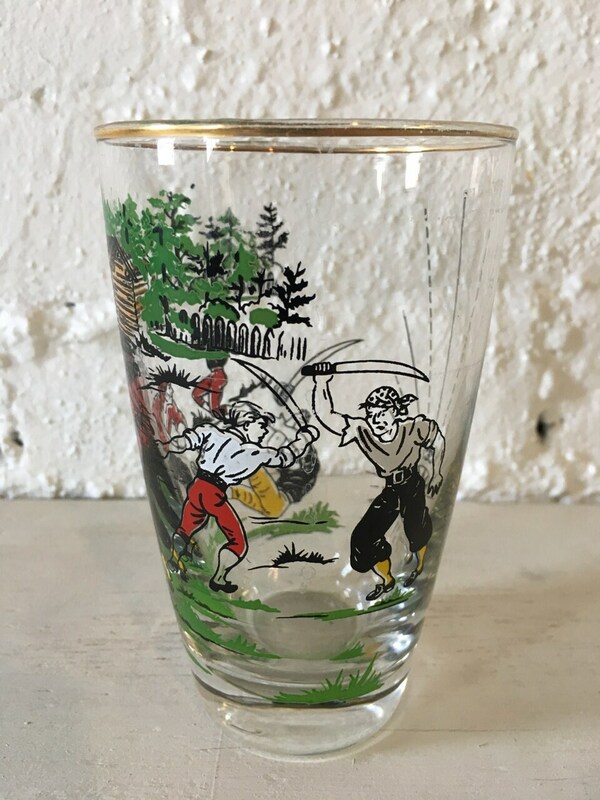 This vintage tumbler size drinking glass has the coolest pirate scene on screen printed on it! Pirates on land! 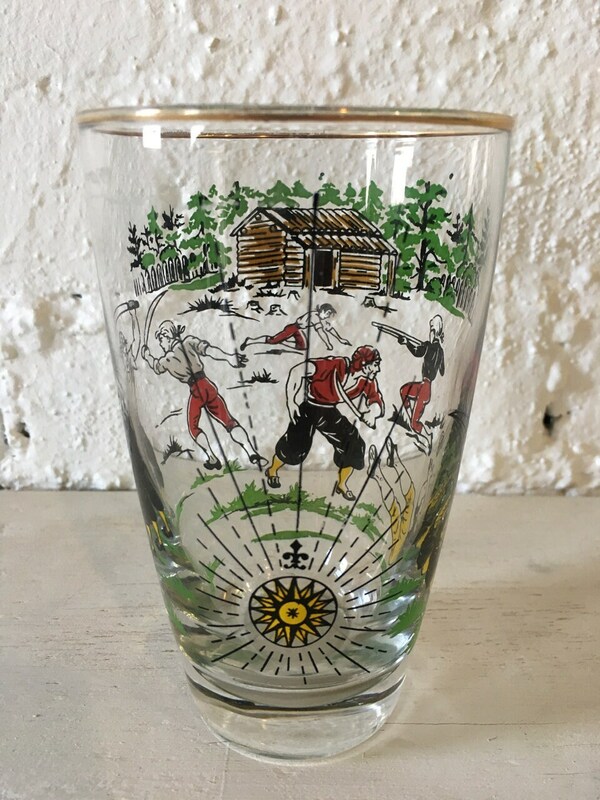 The scene depicts a what appear to be pirates and colonial men fighting with swords and rifles on land near a log cabin. It is pretty awesome! 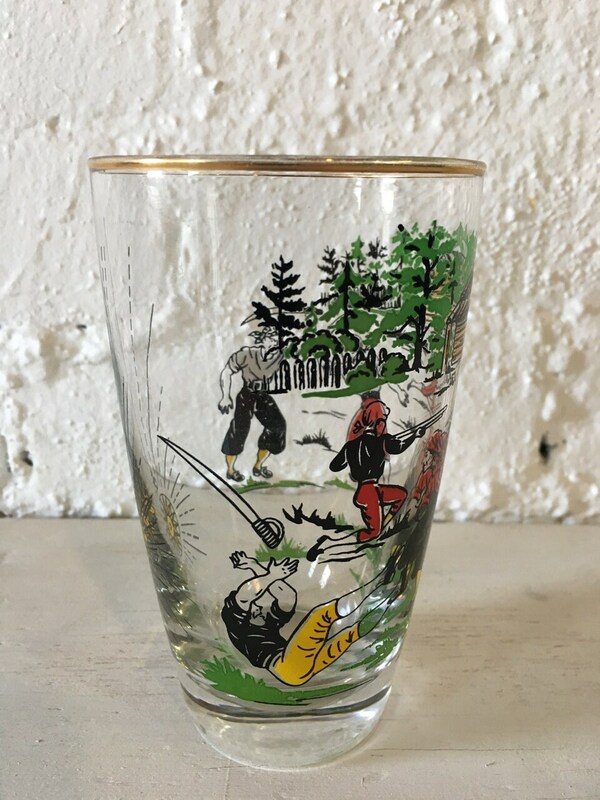 The glass is in nice condition with no chips or cracks and the painted scene is in good condition. 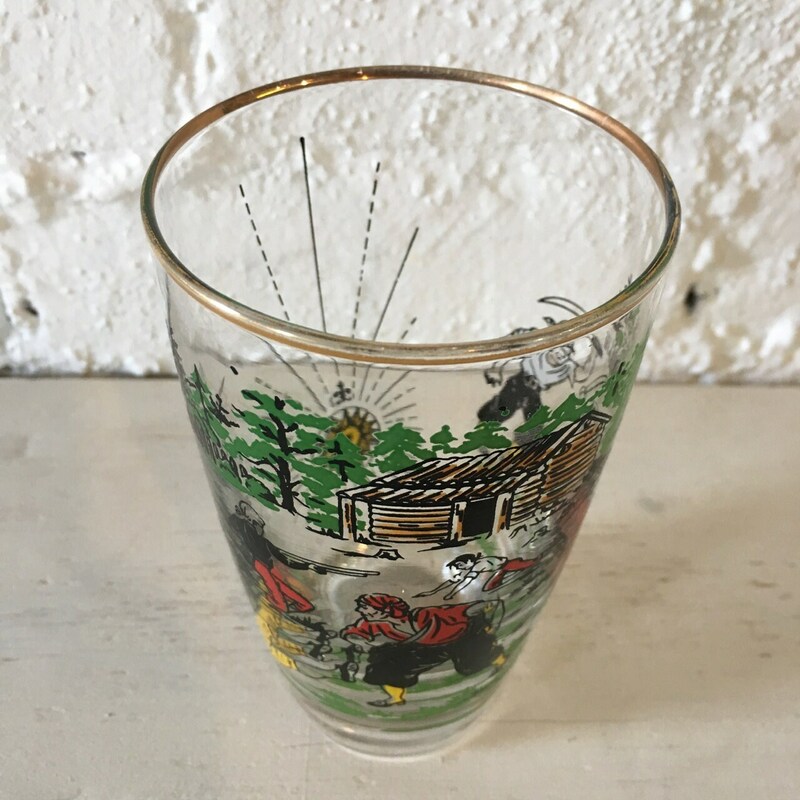 The rim of the glass has a gold band around it which does show slight wear but still looks good. The glass is 5.5" tall and holds roughly 12 ounces. 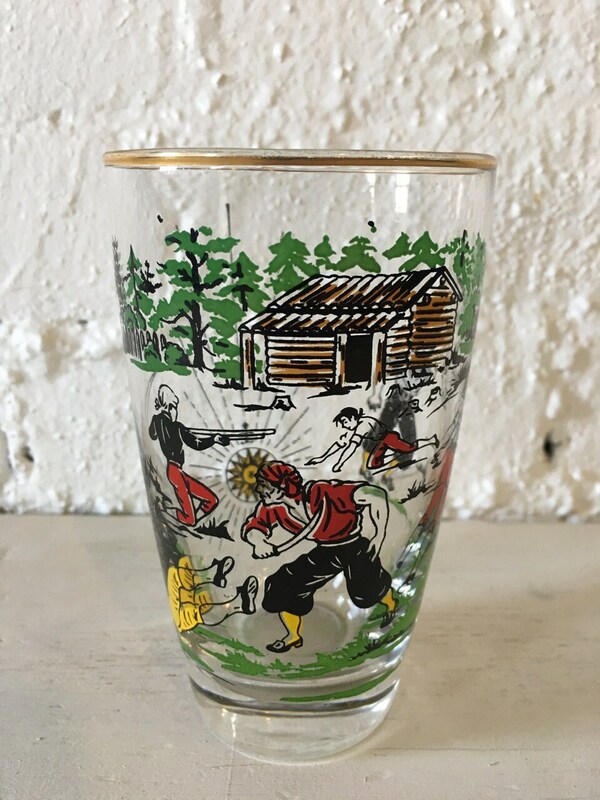 There is nothing like drinking a nice cold beverage in this super cool looking glass!